We’ve been slowly adding more plantings to our field. This is a picture from last week, June 6th. Since then, we’ve added two rows on the far side. You can see why we went with the far side from that picture: it gets more sun. 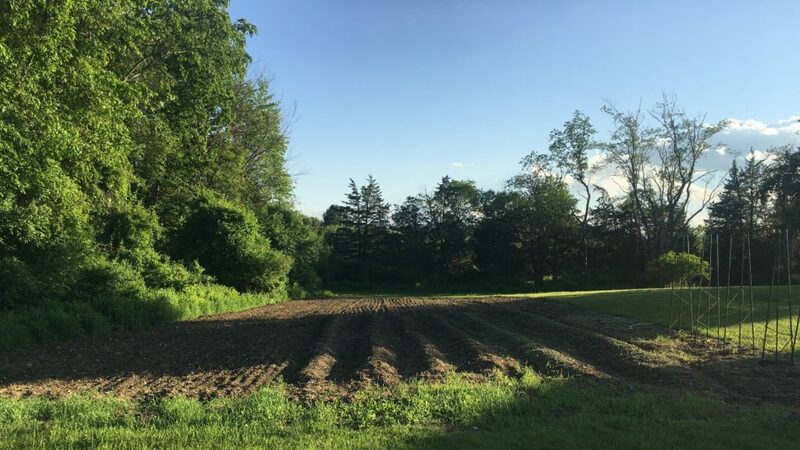 On the far side, also from right to left, we’ve got a row of summer squash that were planted yesterday and a row that we’ll likely put beans in today. 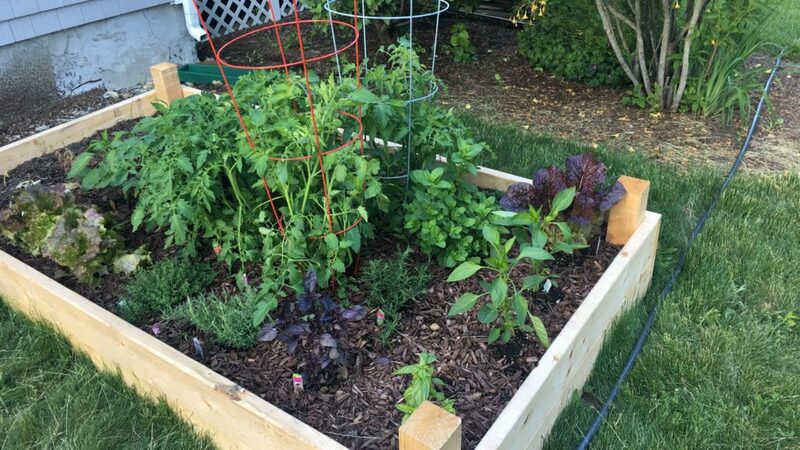 Additionally, we have our raised bed that was mostly planted on May 7th with some additional plantings that went in a couple weeks later on the far back and left side of the picture. The tomato plants are really going and I’m worried that we should be cutting them back. Since this picture, we staked the two behind them as well. The lettuces have also been faring very well and we get enough for a fresh salad every couple days. The mint (just to the right of the staked tomatoes) has been going wild. Finally, we managed to revitalize a basil plant that had been indoors all winter and seemed like it was on its last legs. I would be remiss to not give an update on our bees. While I don’t really know much, it certainly seems to me like they’re very active. 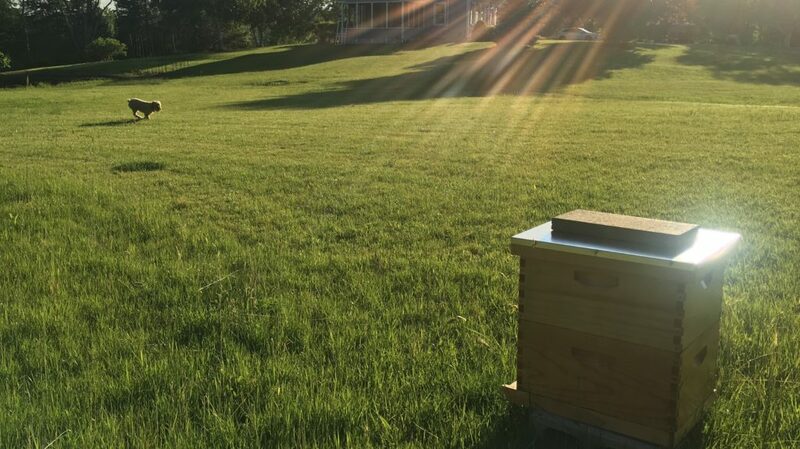 On warm, sunny days, I’ll see more than 100 bees every minute enter or leave the hive. I don’t have a real baseline, but it was closer to 50 when they were first installed a few weeks ago. It’s no torrent of bees, but there’s certainly traffic. The goal is to have the remainder of what we plan on planting done this week and weekend. 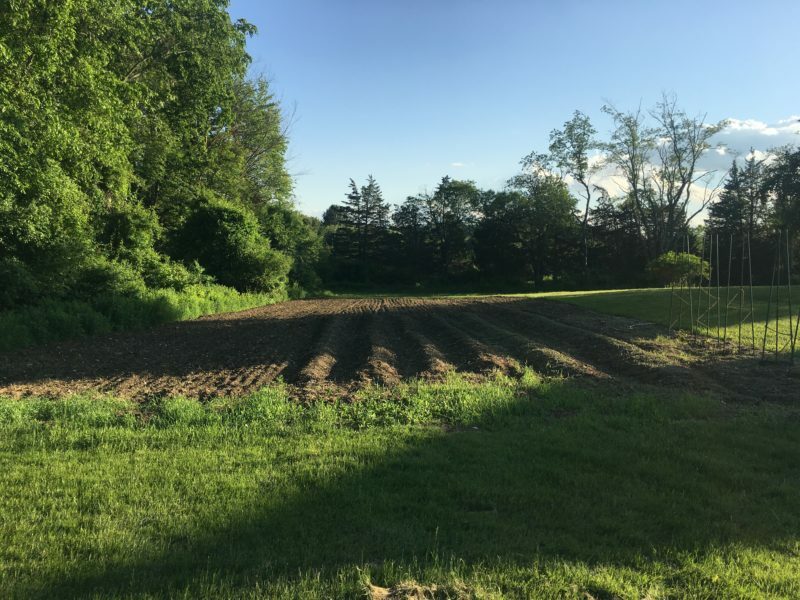 We’ll do some later plantings in August for a few things, but the goal is to have the main summer crops in by Father’s Day.